A drug arrest can have serious consequences. 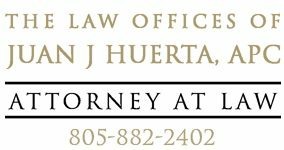 Juan Huerta can often resolve your matter without going to trial, saving you time, money and stress. We work with individuals who face charges for heroin, cocaine, marijuana or methamphetamine offenses, drug dealing cases, prescription drug cases and possession charges. If common sense dictates it, we work with prosecutors during negotiations to get charges or punishment reduced. When appropriate, we use drug addiction programs that can be incorporated into alternative sentences in order to keep our clients out of jail and prison. Medical marijuana laws in California have created a lot of confusion about what is and isn’t legal regarding the growing, possession and selling of marijuana. We defend people who were arrested, charged and jailed for alleged marijuana crimes. We also offer advice to medical marijuana grow houses, dispensaries and transporters who have questions about California’s Compassionate Use Act, or who face prosecution for marijuana cultivation, distribution or transportation. If you face charges regarding the possession, sales or manufacturing of marijuana, cocaine, heroin, crack, methamphetamine or any other drug, we can help.